America’s independent beer and wine distributors deliver regulatory, economic and commercial value in the communities where they do business. They value their role in the state-based system of alcohol regulation that works to keep communities and citizens safe while encouraging healthy competition and a robust marketplace. 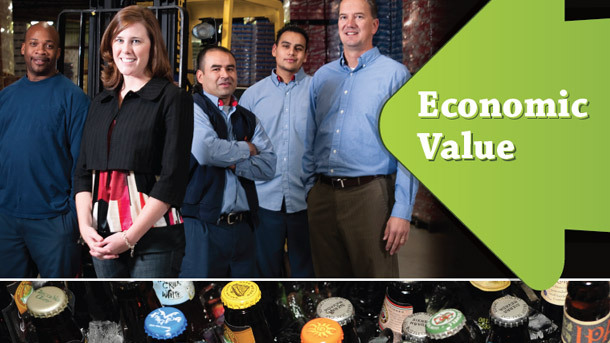 Beer and wine distributors are local businesses that provide more than 130,000 quality jobs with good benefits. They also get new brands to market and ensure that consumers can choose from a vast selection of beer and wine – more than 13,000 labels! View the new pamphlet from NBWA to learn more.